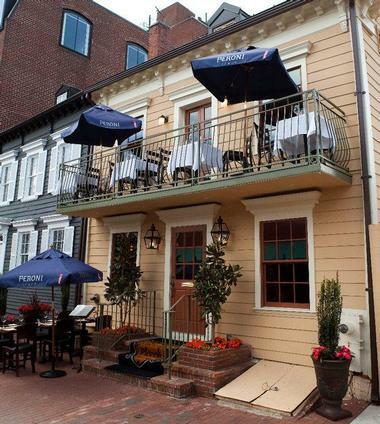 Washington, DC has no shortage of excellent Italian restaurants. These venues cover the entire culinary spectrum - while some are projects of native Italian chefs, others take the best of the Italian tradition and modify it to American tastes. Several establishments pride themselves on a constant rotation of seasonal ingredients brought to life in simple yet potently flavorful dishes, while others experiment with novel platters and unexpected combinations. Washington DC’s Acqua Al 2 restaurant has true Italian roots, as this venue is the sister project of another location with the same name in Florence, Italy. The Florentine Acqua Al 2 was the original and was established in 1978. In 2010, the DC local who had developed the restaurant decided to bring Florentine cuisine to his hometown, and the Acqua Al 2 in Eastern Market was born. In addition to its strictly authentic Italian cuisine, what also sets this restaurant apart is its Assaggio samplers. Assaggio means “taste” in Italian, and each of these platters serves up a sample of three or four of the chef’s best dishes from a particular category. In Italian, the word osteria means a small often informal restaurant where the owner hosts guests rather than serving customers. 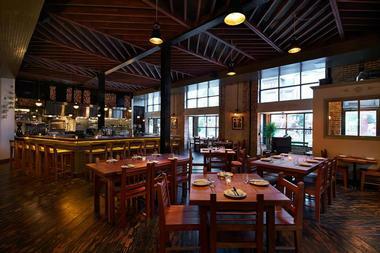 Osteria Morini maintains this friendly atmosphere in its DC restaurant, which is located in the Navy Yards. The cuisine of choice here hails from Emilia-Romagna, the so-called “bread basket” of Italy, from which the world has received some of its favorite Italian staple flavors such as balsamic vinegar and prosciutto. In keeping with its osteria spirit, Osteria Morini has an open kitchen, meaning guests can enjoy watching their dishes come to life even before the meal begins. 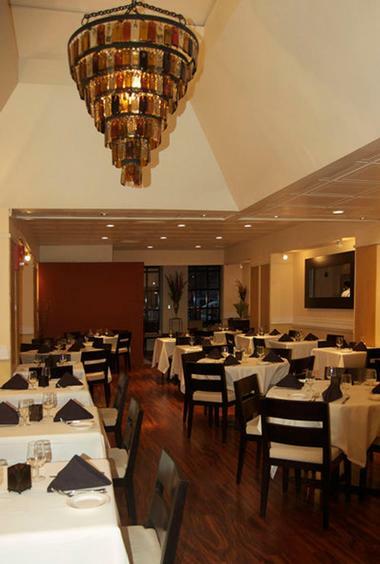 The restaurant has received high ratings from publications like The Washington Post and Washingtonian Magazine. Red Hen is a youthful Italian-American restaurant in the Bloomingdale neighborhood of Washington, DC. Unlike other venues, which tout their replication and enhancement of traditional Italian cuisine, Red Hen takes bits of Italy and applies them to a menu of American cuisine. This means using a wide range of ingredients not necessarily part of the classic Italian repertoire, which results in interesting dishes with unique flavor compositions. Red Hen is a project started by three friends, a fact reflected in its gregarious atmosphere that welcomes both casual diners and families. The restaurant offers a dinner service seven days per week. 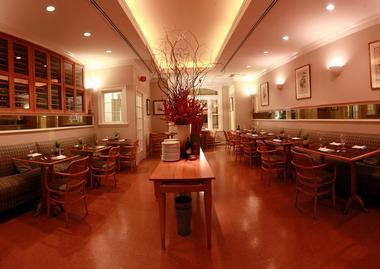 Like many Italian eateries in the nation’s capital, Masseria is the product of a chef’s childhood Italian influences. 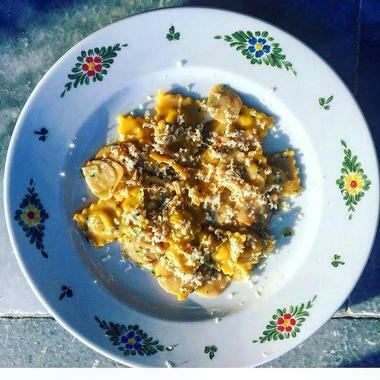 Chef Nicholas Stefanelli has family ties to the Puglia region, and he takes the best from this regional cuisine and transplants it in Masseria’s interesting Union Market location. Although this restaurant is certainly a location for fine dining, having earned a Michelin star in 2016, it nonetheless maintains an air of laidback unpretentiousness in its eating space. Here, guests do not dine a la carte but rather enjoy one of the chef’s impressive tasting menus, which range from four to six courses and show off the team’s skills across a range of textures and flavors. 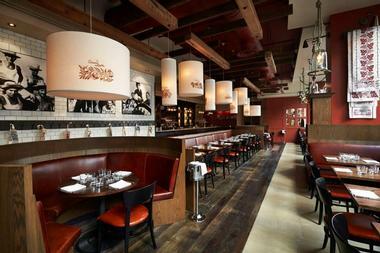 Alta Strada is a Washington, DC project created by the City Vista development company, which has similar sister restaurants in locations throughout the country. A personal undertaking of Michael Schlow, Alta Strada has a menu that skips the meaty entrees and gives patrons what they expect from an Italian restaurant: delicious pastas and oven-fired pizzas. A selection of salads and cheese plates gives the dinner menu its fullness, but Alta Strada serves much more than just dinner. The venue has separate services for lunch, brunch, happy hour, and even a weekend late-night menu for those looking for a midnight snack late on a Saturday. 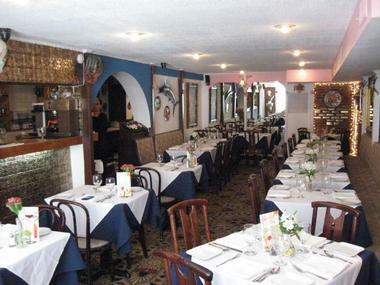 Established in 2002, La Perla focuses its heart and soul on creating good, simple food. Chef Vittorio Testa personally developed all the dishes served at this restaurant, and they are based on his more than fifty years of experience in an Italian kitchen. 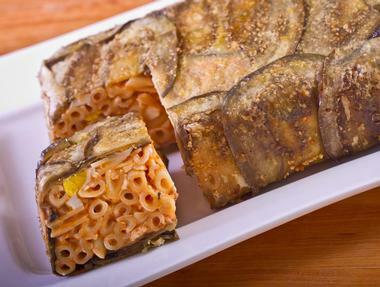 Testa takes pride in his mastery of traditional cooking techniques and use of fresh, simple ingredients. Pastas and breads are made in house on a daily basis, and the dishes on the menu consist mostly of excellently executed familiar Italian favorites. Additionally, La Perla specializes in pairing dishes with the finest Italian wines from its extensive wine list. Casa Luca is a true passion project from culinary power couple Fabio and Maria Trabocchi. Casa Luca is their so-called osteria, and the menu here focuses on perfecting dishes from the culinary tradition of the Marche region of Italy. This devotion to authentic details is found not only in the food but also in the extensive bar menu, which includes several varieties of the distinctly Italian amaro liqueur. The warm main dining room is filled with deep red leather booths and rustic wooden accents, plus a smattering of vintage Tabocchi family photos. The restaurant also has a range of menus specific to each meal, including an extra special “Sunday dinner” menu. JoAnna Filomena, a New York City transplant who found that DC lacked Italian restaurants with an atmosphere for relaxing and slowly enjoying a good meal and good company, created Fiolmena Ristorante to fill that gap. Her mother’s cooking served as the inspiration for the restaurant, which was meant to provide the experience of sitting down to dinner at a close friend or relative’s house. 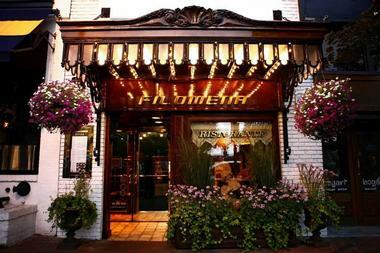 Filomena embodies this aura in the many homey touches and antiques spread throughout its main dining room, as well as in the extensive decorating the venue does for every major holiday. 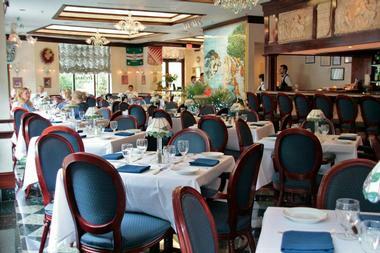 The restaurant serves traditional Italian cuisine, as the owner’s family hails from Italy’s Abruzzi region. Fiola, which is situated squarely between the Capitol Building and the White House, is a prime destination for Washington, DC’s upper echelon of diplomats and politicians. The proprietors of Fiola embrace a commitment to quality in every aspect of the restaurant. 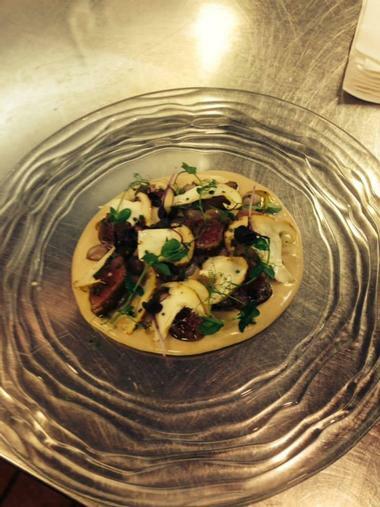 The menu is updated daily, with a constantly evolving assortment of finely crafted Italian dishes. Fiola has dining opportunities throughout the day, with happy hour, afternoon patio, Sunday family table, and dessert and cheese menus complementing its standard lunch and dinner services. The venue’s interior design marries glamorous and rustic styles, with hints of sparkle standing next to exposed brick walls. 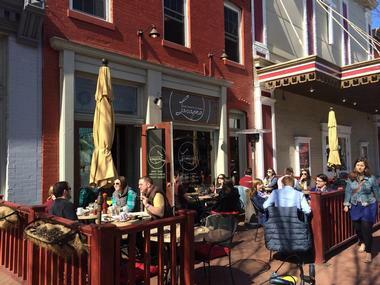 Another independent Italian café in DC, Floriana has a lot to be proud of. This restaurant uses only locally sourced in-season ingredients, and its philosophy is fun and passion. 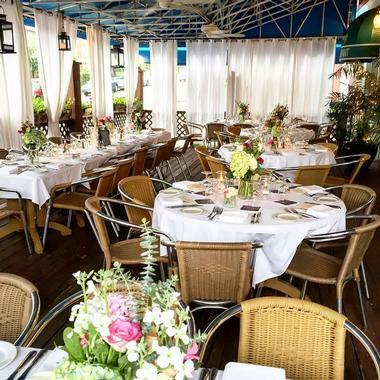 Located in the heart of downtown DC in the Dupont Circle neighborhood, Floriana aims to provide an unforgettable experience for its patrons and was named one of Washington, DC’s most romantic restaurants in 2015. 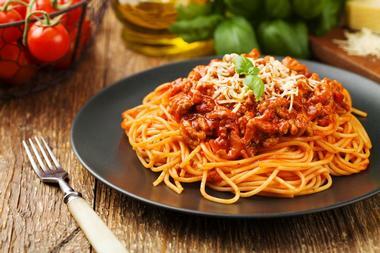 The cuisine here takes adventurous risks, creating new, unique dishes based on classic Italian favorites. Touches like ultra-fresh ingredients and homemade pasta give the menu an extra level of quality and sophistication. In addition to its lunch and dinner menus, Floriana offers a brunch menu with treats for a lazy weekend morning. 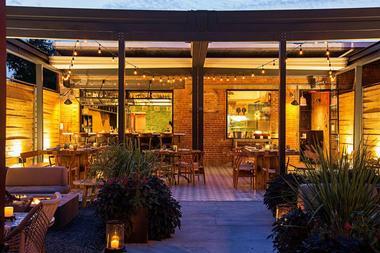 Lupo Verde brings a hip rustic twist to classic Italian dining in DC. The restaurant is a trendy, yet comfortable space with loads of exposed brick and beams, plus a massive 15-seat bar topped with marble and Italian painted tile. 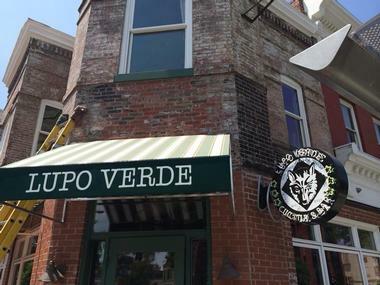 While other restaurants attempt to transport diners back onto the piazza or into grandma’s dining room, Lupo Verde is all about urban takes on countryside living. The menu is full of small plates that allow guests to sample a number of the restaurant’s best dishes, and an Italian brunch menu adds to the fun on weekends. The bar also impresses with signature cocktails and homemade liqueurs and vermouths. Obelisk offers a particular niche experience in terms of Italian dining. The restaurant, which is located right in Dupont Circle, serves a five-course dinner every night of the week other than Sunday and Monday, just as it has since 1987. Although the menu changes every day, the basic format remains the same, with the set-menu dinner lasting about two to three hours. Obelisk serves well-executed Italian favorites, and although this often means the use of meat and fish as ingredients, some accommodations can be made for those with dietary restrictions. Wine pairings with the prix fixe menu are available as well. Siroc Restaurant is the passion project of Chef Martin Lackovic, who ditched a life of medical research to spend his days in the kitchen of this Italian trattoria. 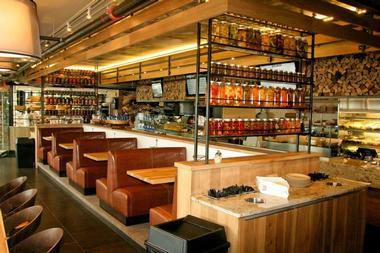 The restaurant is situated in an upscale yet welcoming space that oozes cheerful energy. 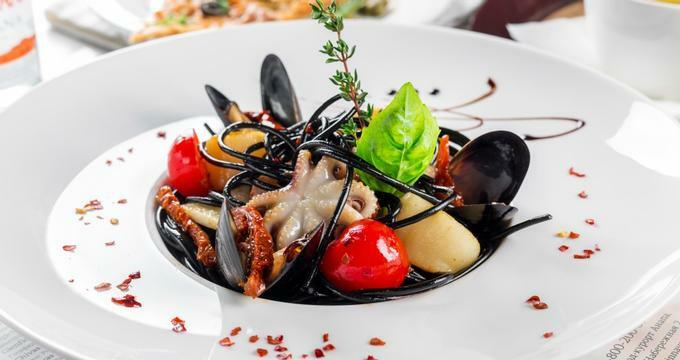 The chef produces interesting interpretations of Italian favorites, incorporating unexpected flavor combinations into each and every menu offering. Seafood is particularly common in the dishes here, with a number of squid, shellfish, and salmon plates taking center stage. Siroc has both a lunch and a dinner service, as well as specialized menus for special occasions. Reservations are accepted. Tortino Restaurant welcomes diners at practically any time of day, as this restaurant serves not only dinner but also lunch, brunch, and even happy hour. Tortino presents a menu of modern Italian cuisine perfected by Chef Noé Canales, who began his love affair with Italian food in 1991 as he ventured to the country to learn more about its culinary tradition. The menu includes simple, fine dishes composed of just a few ingredients that have been combined to perfectly draw out their natural flavors. The décor at Tortino is sophisticated, yet welcoming, making for a comfortable dining experience. New specials are introduced daily. Tosca’s menu is a stunning assortment of selections from the Northern Italian fine dining tradition. Chef Massimo Fabbri does more than just cook food—each of his dishes is a unique creation, enhanced by the meticulous plating characteristic of the restaurant. Tosca uses only fresh ingredients and always has a special seasonal menu to highlight the flavors that are currently at their freshest. The restaurant rejects the cold elegance of many upscale outlets, instead favoring a soulful eating experience. Rich dishes are complemented by a rustic interior featuring natural wood elements and touches of glass. 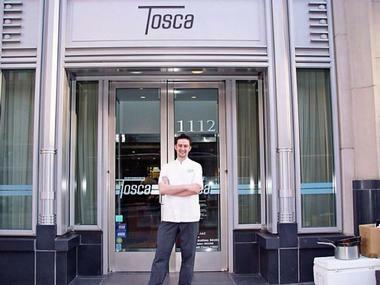 Tosca’s wine list, which has American and Italian vintages, is an award-winning addition to the venue. 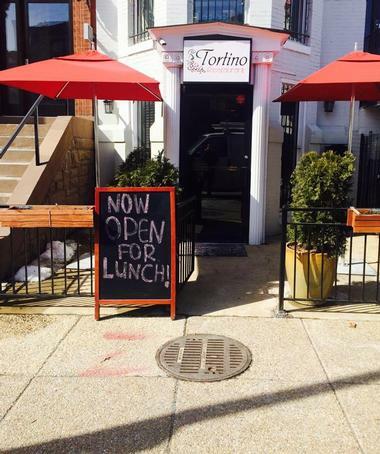 A winner of the Slow Food Snail of Approval, which recognizes restaurants that promote quality and sustainability in their food, Al Tiramisu is a Dupont Circle eatery led by Chef Luigi Diotaiuti. Chef Luigi is an Italian native who hails from Basilicata and has designed his menu to be as authentic and environmentally responsible as possible. The luscious, fresh Italian cuisine served up at Al Tiramisu has earned the establishement countless awards, including the Insegna del Ristorante Italiano, a mark of approval issued by the President of Italy himself. The venue itself is cozy, joyous, and welcoming, offering true Italian hospitality. 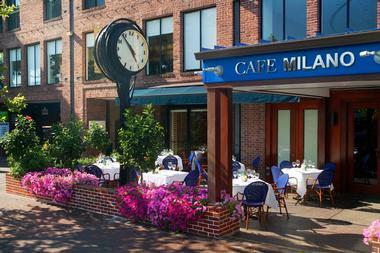 Café Milano is a hub for the crème-de-la-crème of Washington’s elite; this venue has been serving fine Italian food to diplomats, journalists, lobbyists, and other upper crusters in the city for more than twenty years. Proprietor Franco Nuschese has created a venue that offers the best in Italian cuisine from the country’s southern coast in a setting with the aura of a street-side Milan café. Decorative elements celebrate the restaurant’s Italian roots, and a large patio space opens in the summer months. This atmosphere of sophistication is reflected in the exquisite items offered on the café’s lunch, dinner, and brunch menus. Campono takes the best of Italian cuisine and delivers it in a convenient, quick format. Guests do not come to Campono to linger over a slow three-hour meal; rather, the restaurant specializes in Italian fast eats and takeaway favorites. Here, you will find dishes like house-made sandwiches and paninis, oven-fresh pizzas, salads, and tasty desserts, all of which are prepared on the spot and with an eye for authentic taste. Although the menu and dining space are casual, they nonetheless maintain a certain grace and style. The restaurant is located near the Kennedy Center, making it a convenient dinner destination before a show or performance. With a tenure of 36 years in the city of Washington, DC, DeCarlo’s has firmly established itself as part of the city’s local color. The restaurant has an atmosphere that evokes nostalgia and celebrates its longtime presence in the nation’s capital. The menu offers a mix of Italian staple dishes, including pastas, antipasti, light entrees, and a surprisingly extensive garnish list, plus a number of Mediterranean-style seafood plates. The hospitable dining room and covered outdoor patio maintain a level of refinement, while takeout and delivery options let diners experience the fine foods of DeCarlo’s in the comforts of their own homes. An adorable corner bistro, Giovanni’s Trattu is truly a part of the large Washington, DC family, with personal photos lining the walls and an intimate, homey atmosphere inside its dining space. Italian paraphernalia enhance the romantic feel of this venue near Dupont Circle, which serves reasonably priced favorites from Italy’s cooking tradition. The menu at Giovanni’s Trattu is very wide ranging, with a particularly ample pasta selection within its dinner service. The items on offer are largely well-known dishes—the restaurant eschews experimentation for a commitment to authentic execution of Italian favorites. 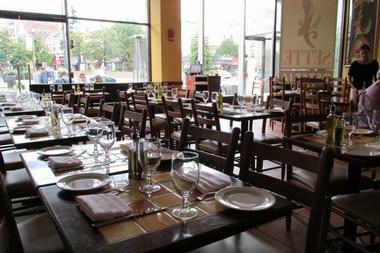 Giovanni’s Trattu has a daily lunch special and facilities for private parties. 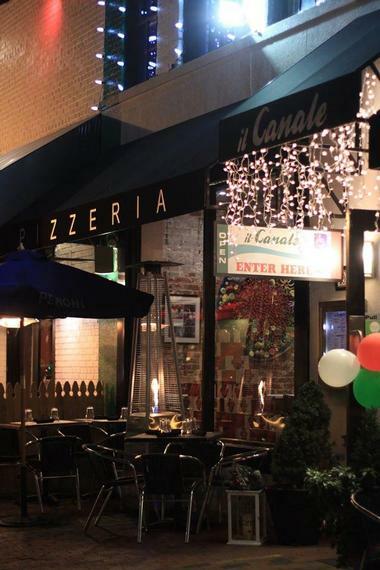 Pitching itself as a place “where Italians go to eat Italian,” Il Canale boasts a menu of Southern Italian dishes and the best thin crust pizza in the city of Washington, DC. This pizza owes its flavor to the restaurant’s unique oven, which was brought in from Naples to bring the true flavor of Italy to the East Coast of the United States. Owner Giuseppe "Joe" Farruggio himself hails from Sicily and has made it his mission to import the fine Napoletana pizza tradition to American diners. Beyond its famous pizza, the menu also includes salads, antipasti, pastas, and main courses. DC restaurant Lavagna is named after a Genoan town that has a reputation for producing the slate rock used to make chalkboards. At the Lavagna restaurant, the owners take this legacy seriously, embodying the belief that food should be as simple and fresh as a chalkboard. It is for this reason that Lavagna has molded itself into a farm-to-table restaurant that sources its ingredients exclusively from local partners. The restaurant serves lunch, dinner, and brunch, and each of its menus incorporates favored dishes from Italy’s rich culinary legacy, all of which allow for the freshness of the venue’s local ingredients to shine through. Walking into Otello Restaurant, one immediately feels transported to a local restaurant on the streets of Italy. Perhaps the most defining decorative feature of this venue just off Dupont Circle is its cheeky red-checkered tablecloths, which adorn all the tables in its large dining room. Otello has both lunch and dinner menus, each of which includes a diverse assortment of typical Italian appetizers, pastas, and meat and seafood entrees, plus a small coffee and dessert selection. The restaurant is known for its familial atmosphere and large portions, which allow diners to enjoy quality, no-fuss Italian food at friendly prices. A Georgetown institution with a tenure dating all the way back to 1986, Ristorante Piccolo delights its patrons both with its fine Italian menu and the richness of its Tuscan-inspired décor. The venue itself stands out thanks to its romantic feel, which is only enhanced by its second-story balcony that looks out on the C&O Canal and the neighborhood. Chef Arnaldo Rubio has carefully curated brunch, lunch, and dinner menus with a number of prix fixe specials so that guests can affordably enjoy the best the restaurant has to offer. A number of dishes, including the porcini mushroom-stuffed agnolotti and the Nodino di Vitello all' Piccolo, are recipients of local awards. Sette Osteria is named after the Italian word for the lucky number seven, bringing luck to all diners who grace its dining room and enjoy its traditional Italian dishes. The atmosphere at the restaurant strikes a balance between high-end and welcoming. Sette Osteria has lunch, dinner, and brunch services, and its menu runs the gamut of Italian dishes. With everything from pastas and pizzas to appetizers, cheese plates, soups, and even small plates, this restaurant has something for everyone. A happy hour selection of wines, beers, and cocktails is accompanied by an astounding offering of snack items and pizzettes as well.